What is an Alabama Rental Application? 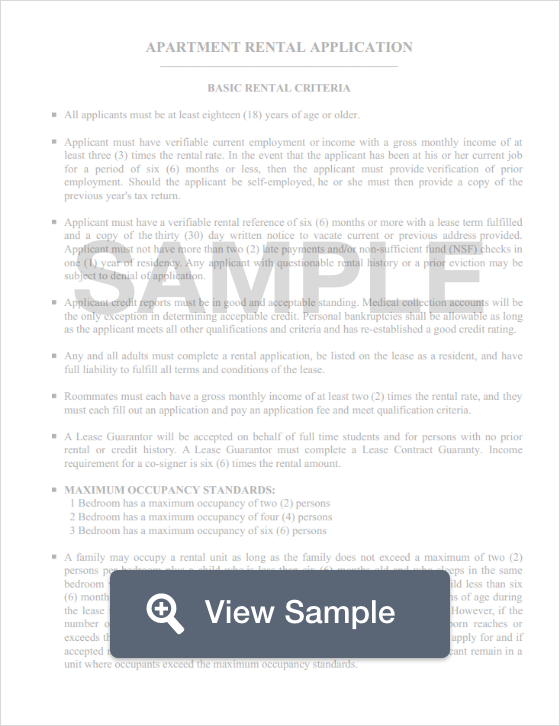 Alabama Rental Application: What Is It? In addition, a landlord or lessor is allowed to charge a nominal fee for the processing of this application. In the state of Alabama, §35-9A-201 states that the landlord may not from require more than one (1) month’s rent, less any pet fees or extra liability on the behalf of the tenant.